The one in Werd Platz, in a quiet little park in the middle of the busy City district. 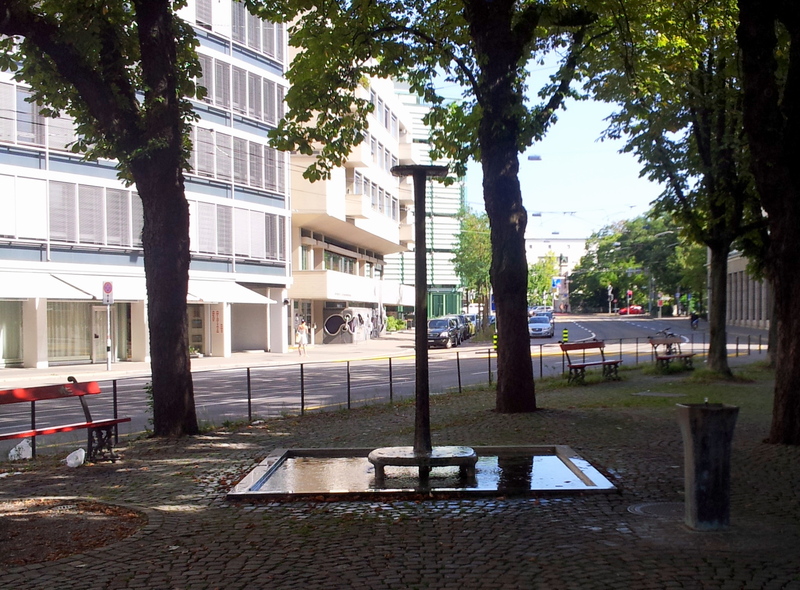 It has the doubtful honour of being one of the least successful fountains in Zurich. Is the drinking fountain a part of this installation? Was it meant as a homage to shower? Many unsolved questions – though I have to admit the drinking fountain has come in handy a few times.